Learn how computers read code, then try simple programming on your own using Code.org. The only thing you need to do (other than setting up all the computers) is make sure you understand how coding works (also check out Code Conquest’s explanation), as well as how to play Harold the Robot! 2. Play Harold the Robot or another similar fun demonstration that introduces the concept of how computers are very literal in the way they understand directions. 3. Explain what happened during Harold the Robot. You may want to read Microsoft’s description of “How Programming Works” to help explain. 4. Use either the simple Angry Birds activities on Code.org (for younger children) or the Frozen activities on Code.org (for older or more coding-experienced children). Using simple puzzles or blocks, have the children decide as a group how to program Harold to build the desired object. For our purposes, we used a Build-a-Burger puzzle to build with Harold. To aid in coding, and to emphasis the nature of program coding, we also numbered each burger piece (i.e. tomato was #3, the top bun #7, etc.). 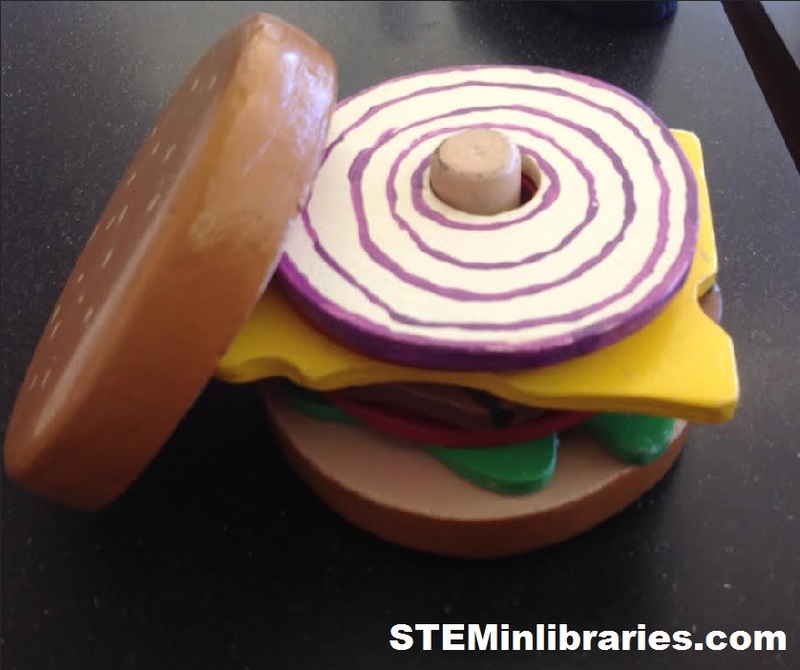 As a group, the children decided in which order the burger should be built, and worked together to figure out how to direct Harold to build the burger in language he could understand. Afterwards, we discussed what instructions Harold did and did not understand, as well as why this was. Refer to Microsoft’s resource for further information on simple programming language. You could modify this to be any sort of simple, direction-oriented activity for use with younger children. Our program was run by Andy Fischoff, a local software engineer. Andy did a different activity that used the same principles with the 1st-3rd graders. CodeConquest.com – What is Coding? Nothing, this program worked extremely well as-is. If you have high demand for this program but don’t have enough computers, you can pair up children of similar skill levels and have them work on the Code.org puzzles together. Some aspects of this program were initially used in a tween program we did: Computer Programming Unplugged. That program works so well that we’ve already done it three times. « Week Forty-Eight: Boats in the Water!